/ Features / What should you do when you’ve been in an accident? No one ever plans on getting into an accident, and surely if you find yourself in that terrible situation it can be hard to gather your thoughts and keep a clear head about you. But if you can keep some of these tips in the forefront of your mind, you’ll be in much better shape if you ever do find yourself in an accident. The first thing you should do once the dust has settled is check yourself and any passengers for injuries. If anyone is seriously hurt, call 911 to get medical attention at the scene immediately. Before exiting your vehicle, check for oncoming traffic or other hazards, and consider moving your vehicle out of any high-traffic lanes or other situations that could cause a problem for yourself or other drivers. If you can’t move your car and you’re in a high-traffic area, you may want to call the police and get help before exiting the vehicle. Once you’ve ensured that no one is seriously injured and/or that help is on the way, exchange information with the other driver(s) involved in the accident. This should include insurance information, names, addresses and phone numbers. You should also take down the make, model and license plate number of any vehicle involved. At this time, if law enforcement hasn’t already arrived at the scene, call them or (if possible) go to the nearest police station to file a report about the accident. Once completed, make sure you ask the officer for a copy of the report, or at least a report number. Almost everyone has their cell phones with them these days, and almost everyone’s cell phone has a camera on it. So, if you find yourself in an accident, use that camera to take photos of the scene, the damage to each car involved, and any other pictures that could help the insurance company better understand the situation. Finally, you’ll need to call your insurance agent to report the accident, relay any damages and get help in figuring out what the next steps are for getting your vehicle fixed and getting yourself back on the road. In addition to remembering these tips, there are a few mobile tools out there that can really come in handy in these sorts of situations. Apps like the State Farm Pocket Agent help you document an accident, submit a claim, contact your agent and more. It could be well worth your time to download one of these apps in case you ever need to use it. 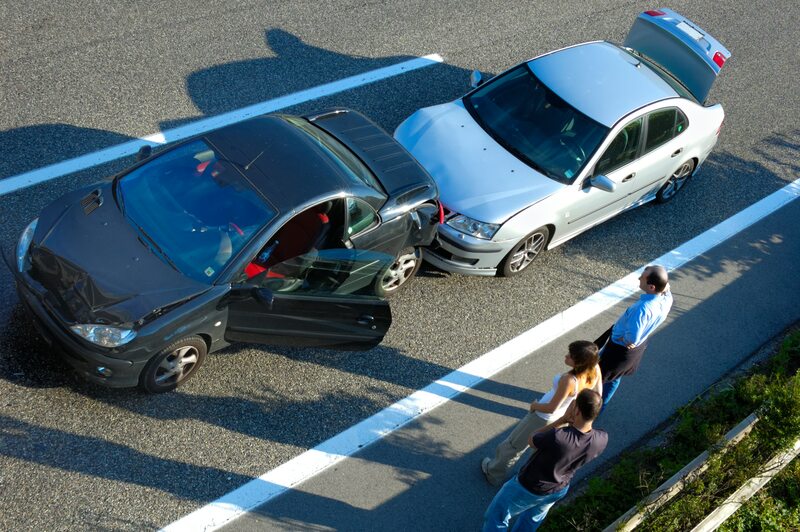 A car accident is an awful thing and a situation no one ever wants to have to deal with. But keeping these few tips in mind will certainly help make the situation go much more smoothly.